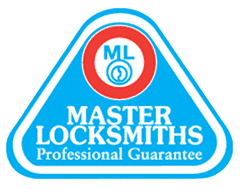 All our locksmiths are on standby to get to your house or business. It doesn’t matter what time of the day or night, we are available 24 hours, 7 days a week, to get you back inside feeling secure again. Need an emergency lockout service? Call Fusion Locksmiths now. We can get there in a jiffy. Fusion Locksmiths are a family owned business with friendly service and family values. We are also fully qualified and provide professional workmanship every time. With over 9 years experience we deliver you lock and security solutions right at your front door. Rest assured that all our workmanship is guaranteed for 12 months, for your extra peace of mind. Our fully equipped trucks are ready for anything. Call us for an emergency lockout service and we can help with other services such as rekeying, cutting new keys or installing new locks. 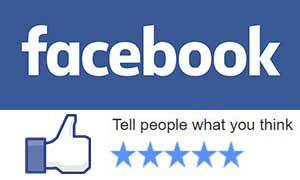 All part of our standard service that our returning customers have come to enjoy. Cronulla in Sydney’s Sutherland Shire has an awesome beach to please. Whether you are a surfer, swimmer, jogger or just love to people watch while having a bite to eat, you can do it all at Cronulla. 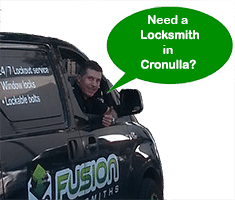 As one of the local Cronulla locksmiths we do our part when it comes to maintaining security. From the basics of lock rekeying or gaining entry quickly in lockout situations, to installing electronic systems for high-tech security, Fusion Locksmiths can help solve any lock problem. As locals ourselves, we know the great service and expertise you expect.